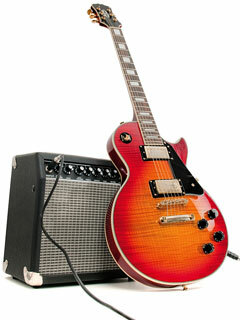 Music enthusiasts can find a wide range of new and used guitar amplifiers on eBay, often for deep discounts. Buyers who want to explore a wide range of possibilities should simply enter the keywords "guitar amplifier" into the eBay search bar, while those with more particular needs can refine their search by adding keywords associated with the make and model of the amplifier, as well as its color or condition. The "ask the seller a question" feature will enable the buyer to ask additional questions pertaining to style, sound, and condition (if the guitar amplifier is used).